Single Row Full Complement Cylindrical Roller bearings are designed for heavier loads than same dimensioned counterparts using a cage. This added load carrying capacity is because of the increased number of rollers and is a trade- off for the lower speed rating. 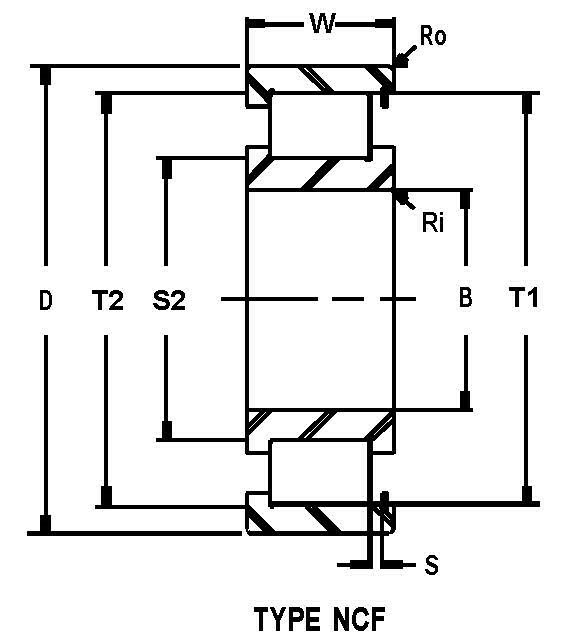 These ISO metric dimensioned bearings are supplied with C3 Internal Radial Clearance unless specified. They are industry interchangeable with like size numbered bearings and are used in such applications as accumulator sheaves, gearboxes and walking beam furnace eccentrics.